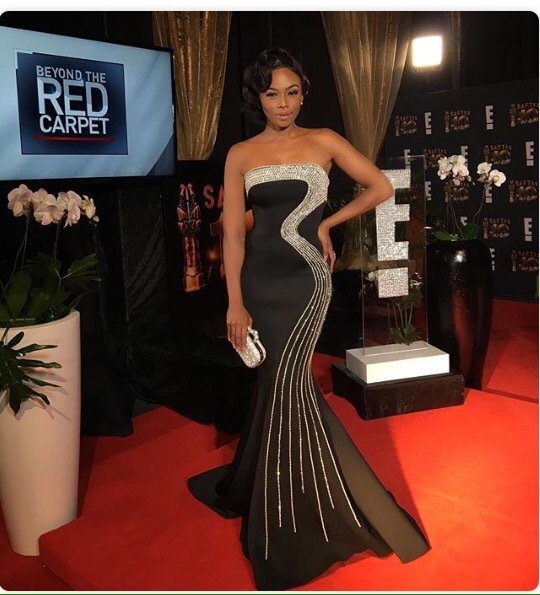 Bonang “Adebimpe” Matheba looked stunning in a strapless black gown when she co-hosted the E! 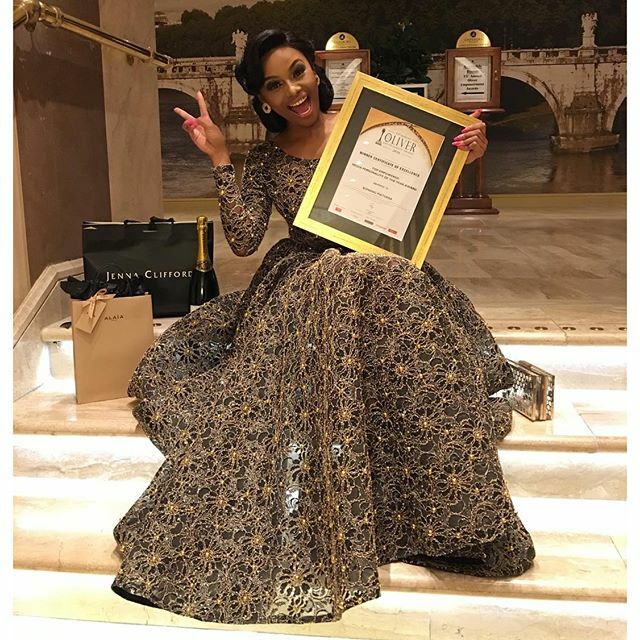 Red Carpet Special at the South African Film and Television Awards(SAFTA) on Sunday, March 20. The multi-media personality turn heads in this dress by Mac Duggal with earrings by Forever Mark Diamonds. Not done, Matheba’s second look for the night was as breathtaking as the first. Styled by Mozambique designer, Taibo Bacar.